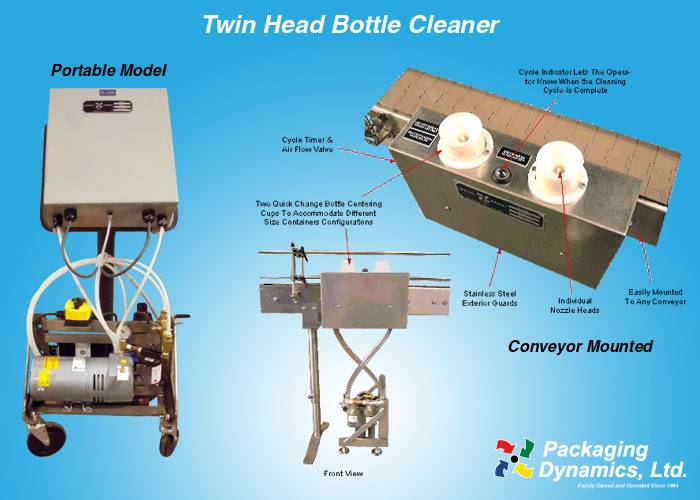 Twin Head Bottle Cleaner - Packaging Dynamics, Ltd. 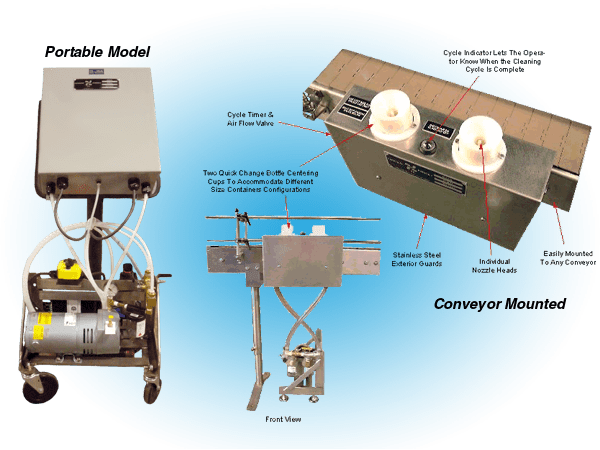 Available in Portable and Inline Models! Independent air and vacuum systems allow the removal of different kinds of contaminants from cardboard and glass, to plastic and small rocks. The amount of air used to clean containers is adjustable as well as the cycle time. An Air Indicator (located on top) tells the operator the cycle status. It appears green during the cycle and black when complete.